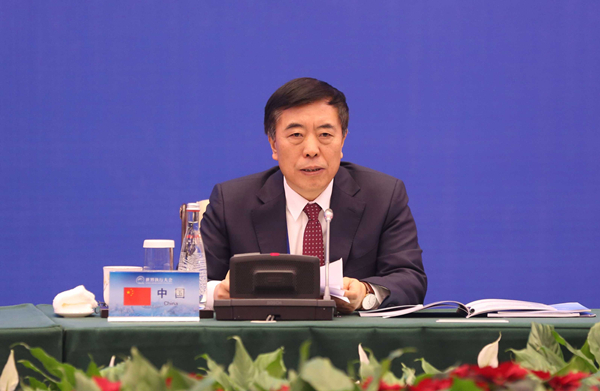 Courts at various levels in China are working on transformation and upgrading of property surveys, according to Yang Wanming, vice-president of the Supreme People's Court (SPC), who was speaking at a seminar of the World Enforcement Conference on Jan 22. Yang explained that as more and more people invest, depositing and purchasing houses in places outside their hometown, traditional modes of property surveying can no longer meet fast-paced judicial demands. Therefore, China's courts have started to adopt advanced information technology and established a nationwide online property inquiry system, which makes it easier for enforcement bodies to locate assets. By the end of 2018, query and asset-freezing services had been provided in 6,038 cases through the system, affecting 413.6 billion yuan ($60.96 billion) worth of frozen assets. The assets included real estate, automobiles, securities, boats and deposits. In addition, Yang said that China highly valued the protection of private information while using the online enforcement inquiry system to investigate. However, there are still problems in the scope and function of the property network. China's courts will continue to make efforts to improve the inquiry system and promote its application to more forms of property. Meanwhile, Yang suggested adopting methods such as audit investigations and others used in traditional property surveys. The seminar was chaired by Liu Xiaoyun, president of the Shanghai High People's Court. It was attended by Patu Sapolu, chief justice of the Supreme Court of the Independent State of Samoa.